As a start-up business in 1988, Millworks Custom Manufacturing tapped All Seasons Security to install a security system in a small unit where the company was headquartered. As the company grew, its operations took over more and more space in its original Toronto, Ontario facility. Millworks Custom Manufacturing now occupies more than 140,000 square feet of custom manufacturing and warehousing space, which in some areas is three stories high. The company is highly successful in its field of expertise, where it creates custom furniture for large corporate offices, displays for museums and galleries, and wood finishes for high-end homes. Thick, steel barrier walls and a U-shaped designed building made it difficult, expensive and timeconsuming to run more wires for its existing hard-wired intrusion system. The company had grown over the years and expanded into adjacent areas of the building, occupying over 140,000 square feet of space. Adding wiring alone for a hard wired intrusion system would have taken a month or more. Additionally, Millworks Custom Manufacturing routinely stores large lots of valuable hardwood at its manufacturing facility which it uses to create custom furnishings for large offices, restaurants, retail stores and art galleries located around the world. With 250 employees and a 24-hour operation, it was important to select and deploy a highly reliable alarm system that could monitor the opening and closing of overhead and regular doors, throughout the day as well as overnight when the building and materials was most vulnerable to theft. 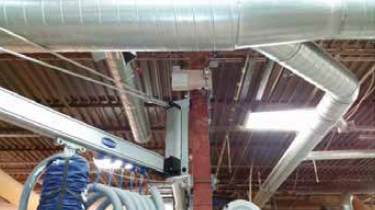 Adding complexity to the installation was the constant motion and activity within the facility, which made it all but impossible to use motion sensors on the plant floor to detect unauthorized door activity while production was ongoing at the plant. For its security solution, Millworks Custom Manufacturing and All Seasons Security chose Tyco Security Products’ DSC PowerSeries Neo, a scalable, wireless intrusion system with PowerG technology. 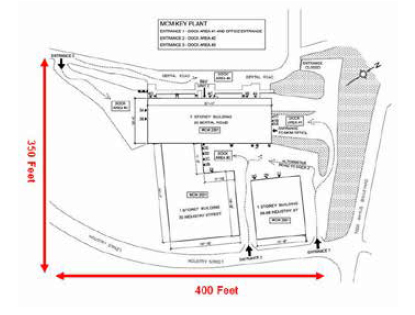 The main panel with two-way wireless communications offers 128 zones, which are more than enough for the custom millwork facility’s current needs of 58 zones of coverage as well as any plans for additional expansion, according to Hardy Deifel, president of All Seasons Security, based in Orangeville, Ontario. 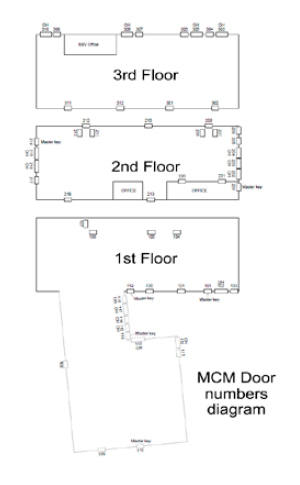 The system consists of a host transceiver, three PowerSeries Neo PG9920 wireless repeaters, one PowerSeries Neo HS2LCD LCD full message wired keypad in the main office and three PowerSeries Neo HS2LCDWF9 full message wireless keypads situated at the main employee entrances. With the wireless the plant’s controller can to remove it from his office and carry it around the plant with him, if needed. The customer has also taken advantage of the WebSA System Administrator Software, which enables them to view and monitor doors throughout the day using a dashboard application. 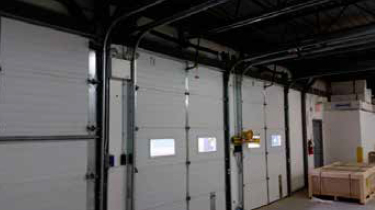 Each doorway is equipped with a PowerSeries Neo PG9945 wireless door contact that transmits information on door status. If a door opens that should not be open, the appropriate company executive would receive a notification. Prior to the installation, Deifel tested communications between the contacts and the main panel and transceiver to determine where he would need to install repeaters. The transceiver’s location is such that contacts sometimes have to communicate through a couple of walls. In those instances, a repeater is positioned to aid the signal’s transmission and to extend the life of batteries in the wireless devices. Installation at each of the 54 wireless doors contacts in the sprawling building took about a month. Deifel was able conduct placements tests on each device location to determine the appropriate location for optimum transmission strength with minimal interference. Because the contacts are wireless, they can be easily moved if a doorway is closed off or changed in some way. And the system is reviewed occasionally to determine if a repeater needs to be added or moved since signals can be altered by the addition or rearrangement of the heavy equipment used in the millwork process. “Our shop is pretty busy with multiple doors opening and closing at various times in any 24-hour period,” said Wojtek Sztukiecki, project manager, at Millworks Custom Manufacturing. “Having each door marked and equipped with a sensor makes it easy at the end of the day to remotely and automatically check if any doors are left open.” The system is constantly being checked for door status, he said, especially by the person who is heading the night shift. Maintenance on the entire system is aided by communication between the main panel and the monitoring station. If there is a problem, the PowerSeries Neo HS2128 Control Panel will send a notification to the central station. Deifel can then use that information to run remote diagnostics on the system or he can go to Millworks Custom Manufacturing to fix the problem. The system has multiple checks and balances within it, protecting against lost alarm messages, signal interference or frequency blocking. The Customer - Millworks Custom Manufacturing (2001) Inc. Established in Toronto in 1988 as a privately owned and operated firm, Millworks Custom Manufacturing (MCM) works with leading architects, designers and corporations on the development of custom environments including offices, restaurants, galleries and retail spaces for national and international brands and institutions. MCM is recognized as a leader in custom millworking and fabrication, and has established a reputation for craftsmanship, flexibility, aggressive delivery schedules and the precise execution of complex, high-profile projects. The Installation Experts - All Seasons Security Inc.
All Seasons Security Inc., based in Orangeville, Ontario, has been in business since 1988 installing and servicing alarm systems for residential, commercial and industrial clients. The company also handles intercom and camera/video surveillance systems throughout Ontario. Tyco Security Products is a unified group of the most comprehensive world-leading premium access control, video, location-based tracking and intrusion solutions in the security industry. Tyco Security Products conducts business in over 177 countries around the world, in multiple languages and employs over 2,800 employees globally, including research and development, marketing, manufacturing, sales, service and logistics teams in the Americas, Europe, the Middle East, Africa and Asia Pacific. Our products, built by developers from all product disciplines, consistently allow customers to see more, do more and save more across multiple industries and segments including healthcare, government, transportation, finance, retail, commercial and residential. Worldwide, Tyco Security Products helps protect 42% of Fortune 500 companies, transportation systems on five continents, 37% of the world’s top 100 retailers, over two million commercial enterprises, thousands of students in more than 900 educational facilities, and over five million private residences.